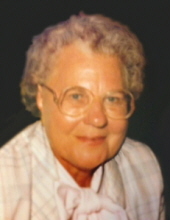 John H. Dunn, in 1995.
area where she worked as a clerk for the federal government. bingo, making ceramic pottery, and sewing. Trail, NC, and their families. Bogousky; her brother, Dr. Matthew Mischinski; and a great-grandson, James Chase Foreman. her these past twelve years. Mechanicsburg, PA at 1:00 pm on Wednesday, April 17, 2019. To offer the family condolences, please visit www.Pathemore.com. To send flowers or a remembrance gift to the family of Loretta M. Dunn, please visit our Tribute Store. "Email Address" would like to share the life celebration of Loretta M. Dunn. Click on the "link" to go to share a favorite memory or leave a condolence message for the family.